Since then, a number of state and municipal officials including Puerto Rico Gov. 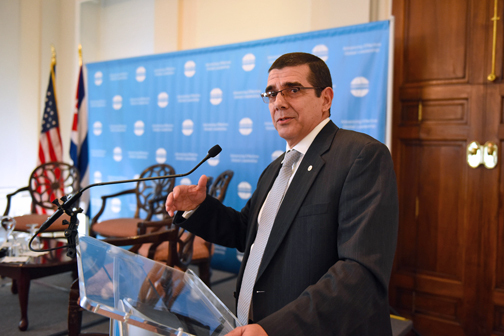 Alejandro García-Padilla have brought delegations to Cuba, looking to expand trade and investment opportunities. While it’s easier than ever to visit the island these days, the trade embargo itself is still very much in place — and because of the 1996 Helms-Burton Act, only Congress can revoke those sanctions. 700K+ children, youth live in high-poverty areas in P.R. Hey Buddy!, I found this information for you: "With diplomacy set, patience is key to U.S./Cuba rapport". Here is the website link: https://newsismybusiness.com/diplomacy-patience-rapport/. Thank you.